Belgium has temporarily abandoned Schengen rules that allow passport-free travel between some of the EU’s internal borders, as it tries to keep the potential migration flow from France under control. Belgium’s Interior Minister, Jan Jambon, announced on Tuesday that the decision comes as France is looking into the option of evacuating the Calais “Jungle” refugee camp, which houses around 4,000 people. It is feared the move could trigger a new wave of migrants streaming out of the port city in northern France. 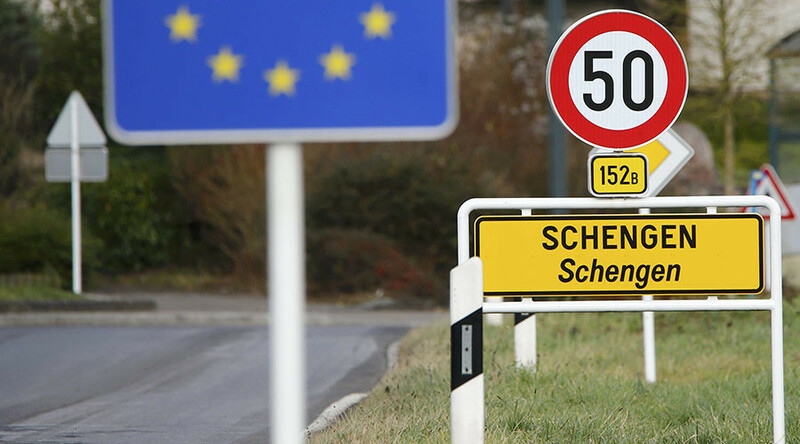 “We have informed the European Commission that we will temporarily depart from Schengen rules,” Jambon said at a press conference in Brussels. The announcement will come into effect on Wednesday. The Schengen agreement allows ID-free travel between the 26 European countries that are party to it. Belgium also said it will be increasing the police presence along its borders to maintain control over the situation. Jambon explained that anywhere between 250 and 290 police officers will be dispatched to various locations along the Belgian border. “We will carry out border controls at different strategic locations, at spots used by smugglers which the police have detected,” he said. Brussels is afraid that a massive migration wave could come to Belgium from Calais, with refugees intending to use the country as a staging point for a crossing to the UK. Migrants have long used areas along France’s northern coast as a jump off point for trying to cross the English Channel to the UK, but since border controls have been reinforced there, refugees have been opting for Belgian ports instead. On Tuesday, a French court located in the northern city of Lille said it was delaying a ruling on closing down the Calais refugee camp after eight NGOs began legal proceedings to halt the evacuation until all unaccompanied minors could be given shelter. A source in the court said “We will not know today,” adding that a decision could come on Wednesday or Thursday, according to AFP. If evicted, the migrants will be given a week to decide between moving to a €25 million ($28 million) state-built camp nearby capable of accommodating 1,500 refugees, which consists of heated shipping containers with beds and electricity, or to one of France’s other 98 migrant centers located around the country. On Sunday, a series of prominent British actors, including Jude Law, took part in a performance at the Jungle camp to draw attention to the plight of those facing eviction. Meanwhile, the head of the EU’s border control agency, Frontex, Fabrice Leggeri, pointed out that the Schengen agreement cannot function properly if the external EU border is not properly protected. “In order to have a well-functioning Schengen free movement area, we need to have a well-functioning external border, which is today apparently not the case,” Leggeri said in a speech to the European Police Congress in Berlin.